File transfer between android and Linux - There are share link developed by Asus, Shareit by Shareit Technologies Co. Ltd for super fast transfer data and files from Android to PC or Mac, and so on. But, it doesn't work for Linux distros. Because they are no Linux client supported. So I made this post for those who looking a ShareIt for Linux alternative in order to data sharing phone to phone, phone to computer, or vice versa between Android device and Ubuntu Linux and derivatives system e.g Elementary OS, Linux Mint or without USB stick nor active internet connection. Feem available for Android, iOS, Windows Phone, Linux Mac OSX, and Windows. It isn't totally free software. You should buy to get all features, avoid registration window, and popup message at the bottom of desktop client. However, the free version is work very well. 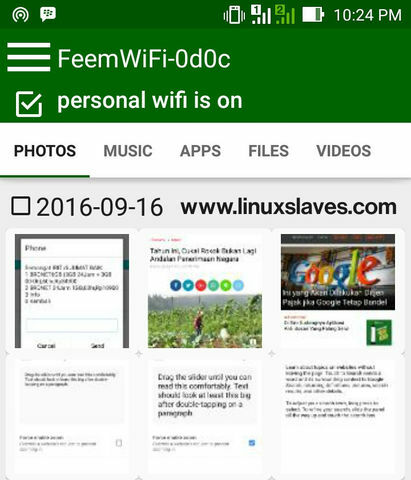 Step 2 - Search "Feem v3 Lite: Wifi File Share ( without quotes ). Step 1 - Get the Feem v3 package installer. There are 32bit and 64bit version. Step 2 - It compressed in tar.gz, so extract the package to specific directory for first before installing the application. Note : Change the [Feem Installer File] in step 3 and 4 with file installer name. Step 5 - You can now open Feem from Ubuntu dasboard. 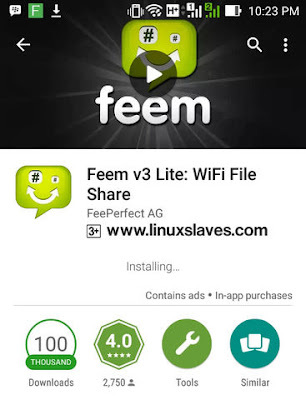 Step 1 - Open Feem Lite in your Android devices and your Linux. It will ask you for license. Simply press Cancel button to continue. 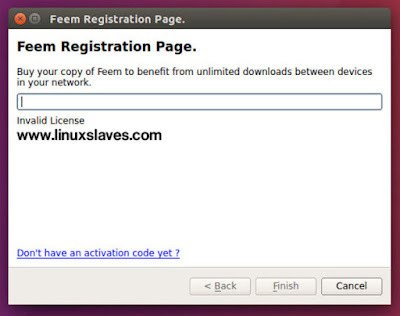 Step 3 - Feem will automatically scan to find and pair the devices. Step 5 - It will automatically send the file to your mobile device. That's it! The popup message indicating that file has been sent. 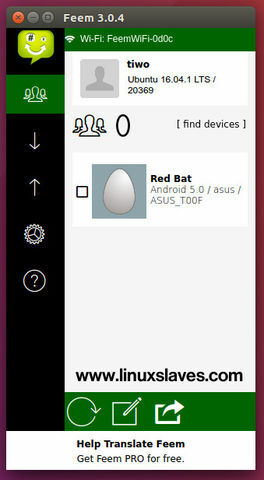 We can also use this application to chat the scanned devices. 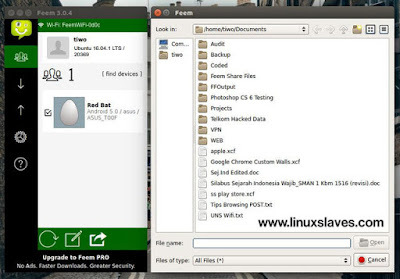 Enjoy the file sharing from between android to your Ubuntu and derivatives system. Hope this post help for those who looking for similar ShareIt app for Ubuntu Linux. Thanks for visiting us!